This is a die-cut Rand McNally Official Hotel porcelain sign. This particular Rand McNally Official Hotel sign is very colorful. 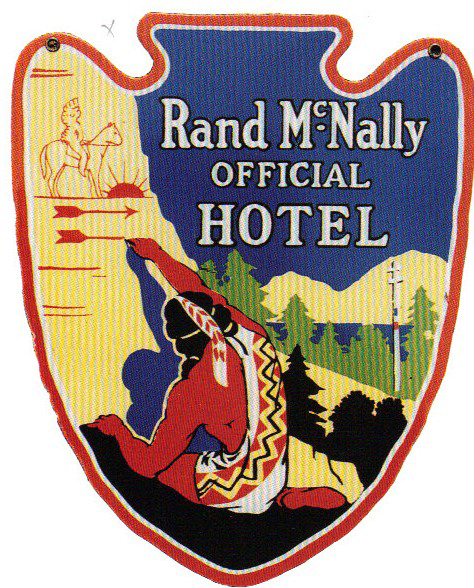 It reads, “Rand McNally Official Hotel” and features a Native American climbing a rock face that overlooks a green tree-filled canyon.